Raye Wagner has been influenced by stories her entire life. With seven siblings, she learned to escape chaos through the pages of fantasy. Later, she pursued a career in nursing inspired by a fictional character (Kitty Fremont, Exodus by Leon Uris). After finishing a popular mythology book where the Sphinx was portrayed as a game show hostess, Raye decided the majestic creature deserved a better fate. The plot for Curse of the Sphinx dropped into her head, and she began to write. 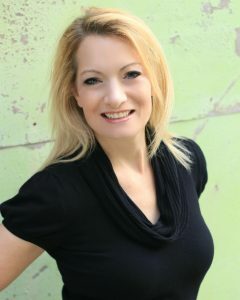 Raye lives with her husband and three children in Middle Tennessee. She enjoys baking, Tae Kwon Do, trips to the beach, and time with her family. I’ve had inspiration strike for so many different reasons. My debut novel was inspired after reading a very popular author’s take on the Greek mythological monster, the Sphinx. I hated how she was portrayed, and with sudden clarity, her story unfolded. Interestingly enough, the Sphinx from Thebes is not the main character in my series, although there is a prequel novel (still unpublished) that has her story. I wrote a short story based on an uprising in a small town in Mexico (will be published in an anthology in June 2016) titled, Narcos. I have several more ideas in my head, but I need more time to write. I have three children, a part-time job as a nurse practitioner, and I *try* to exercise regularly. I write when I can. I’m hoping when the last one starts school I’ll get into a better routine. I like to know where the destination is, but how I get there isn’t always how I’d planned. I’ve never plotted scene by scene, but I do outline now. I totally pantsed my first novel, and the clean up/editing was a disaster. I did better with plotting a general idea with book 2, and more so with book 3. So far, I’m liking that process much better. Whoops, I think I answered this above. I do talk and listen to my characters. A lot. And then I will take notes on what they say. Write. There are difficult times when the words won’t flow. Times when you hate sitting at the computer. Times when your story feels flat, and times when it really is. Just keep writing. The longer I write, the more I realize there is no destination. There is only the journey. I read two fabulous authors that were indie published. Their books were every bit as good as a “traditionally” published book. Then I went to an indie conference and saw how well indies could do. I’ve since become friends with both those authors that inspired me on the path. Best thing about this journey is how supportive indies are. It will change. Again and again. There will be times you will be so frustrated (by whatever path you choose) with your limitations that you’ll wonder why you’re doing this whole writing thing… And it will change again. If you have a story to tell, then tell it.